In The Key Of G Major- Written by John Conolly. 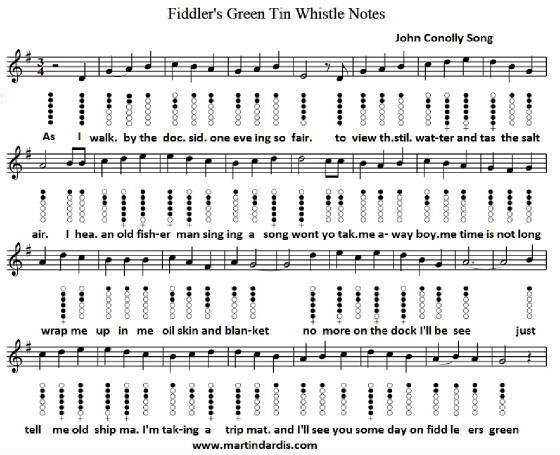 The letter notes are included for all the players of recorder and flute. This song was a big hit for The Wolfe Tones plus The Dubliners. The letter notes below are slightly different than the sheet music above. In the sheet version the words in a couple of places don't quiet match up with the notes. Plus a few of the notes are different than the way I play it below. The below version is in the key of G with all the F notes being sharp and the c's natural.